Venezuelans have their own version of guacamole called guasacaca. It’s more of an avocado relish, and is made with vinegar instead of lime juice, and lots of garlic. It’s often served with fried plantain and yucca for dipping. There are many variations of guasacaca – some have tomato, some have hot chile peppers, and some are made with green peppers rather than avocado. Some people seem to prefer it as a salsa, with the ingredients chopped and mixed together, while others blend it until it’s very smooth. Serve guasacaca with tortilla chips, fried plantains, and especially with grilled steaks and chicken. 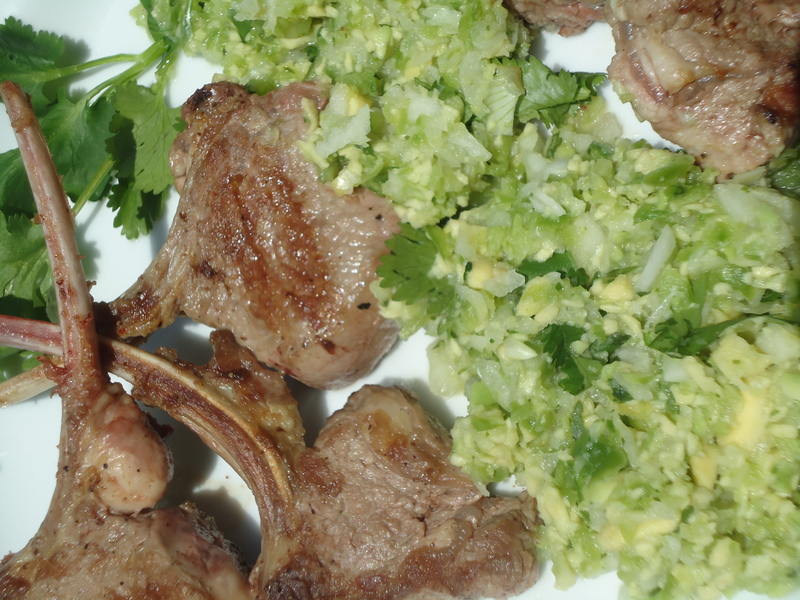 In this recipe, I like my guasacaca little chunky without the olive oil, served on the side, with grilled lamb chops. So Delicious! seasoning with salt and pepper as needed. Meanwhile, heat grill to high.Generously sprinkle lamb chops with salt and ground black pepper. Place on grill and cook to desired doneness, about 3 minutes on each side for medium-rare. 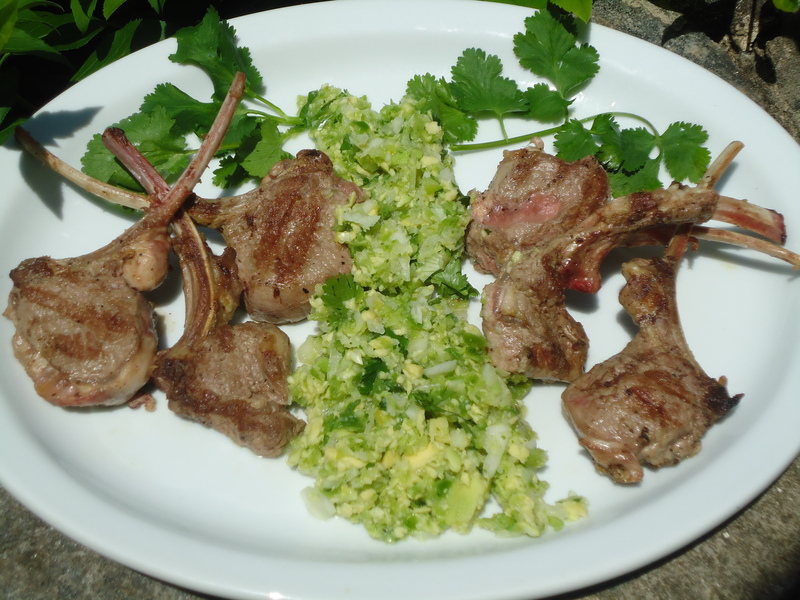 Serve the lamb with the gausascaca sauce at room temperature with lamb chops. Cover leftover sauce and store in the refrigerator. Always bring the guasacaca to room temperature before serving.